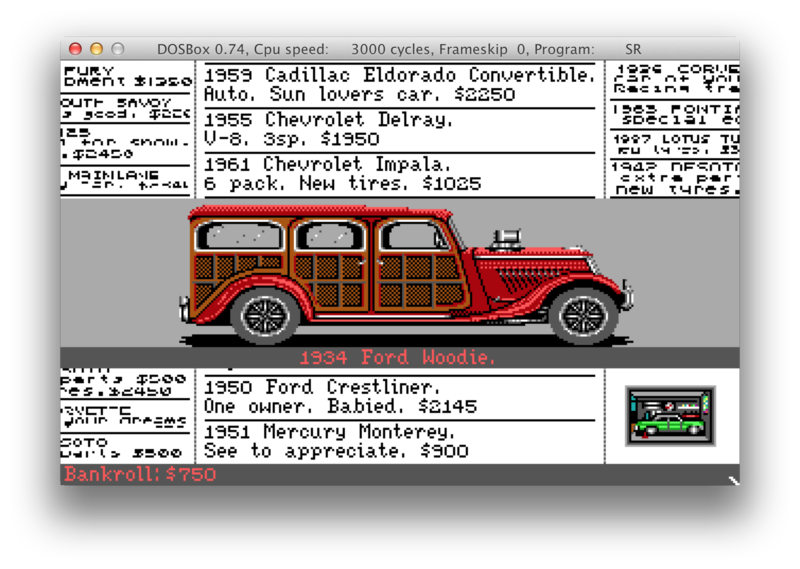 »Street Rod Car Data Disk»It works!!! I couldn’t get it to work last night but this morning (as happens often) I managed to get working backups from the disks. As it turned out I bought 2 sets of Street Rod Data Disks, not 1 as I thought. Each set consists of 2 replacement disks. Looks great! I suppose parts remaining the same. So I’m guessing that when you continue working on the game these extra cars will be added as well? Great idea, but it’s a big “if” whether I continue with Street Rod Online or not. Well I do hope so, considering the fact that you’ve acquired the copyright to the game. It would be a shame if the project would die out and no one could ever pick it up again. Are resources a problem? Considered kickstarter for re-funding? Yes, resources is a problem, ideally I need more developers and money to fund the project. I wonder if a Kickstarter could be successful when I look at similar games. Do you think it will be possible to play the game with the original cars + extra cars on the same game? that’s the whole point of buying the rights to the game and and getting the data disks. No (for now at least), it’s a replacement, the files HOT_DATA, LIB2 and LIB2C will be replaced by the ones on the disks. I don’t think there is a way to combine the original LIB files with the new ones. Although it’s worth to investigate. Maybe it’s not possible, but I think it’s worth a try! Imagine playing SR1 with so many available cars! OMG!! wow dude i can’t wait to play it!!! Yes, it will be re-published. This guy is just yet another waste of timer WITH NO PASSION FOR STREET ROD. Yes you bought the rights to Street Rod whoopdy doo mate. Without passion for Street Rod that you so claim you have, this will be yet another version of Street Rod that will insult the original that will sit in limbo. Money? Resources? Help? Excuses….if you were truly passionate about it you would find a way. Paypal donations, AdSense, ebay affiliate links on this joke of a wordpress site. I am sorry to be harsh but I have been angered by the half baked attempts to resurrect the Street Rod brand. Always taken on by nerdy weak people who make excuses. Here is an idea, sell the rights to me instead and watch this game take off the way it should have ages ago. So far he is looking to keep it original. There isn’t a huge demand for street rod sequels. Also as some part of another street rod project… thanks for the insults while you have point what you just said it makes it all possible now. we just didn’t know what to think before but, now we will pull a street rod game out out of our asses thanks to your words of encouragement. To be honest he has a point. Acquiring the rights and then semi-abandoning it isn’t a nice thing to do. I’ll have my hopes up for it, shame but I can’t help in any way at this moment otherwise I’d offer my help. If any thing him buying the rights makes and SR game even more possible. Not knowing any thing about the rights or having the rights was the biggest complaint when trying to recruit coders and developers for SR3. As much passion as i have for SR3 it takes man power to make things happen.